Well, "meeting" is a bit of a stretch. Saw her. From about 300 yards away. She was in that unassuming station wagon above, on her way to St. George's Chapel for Sunday church services. 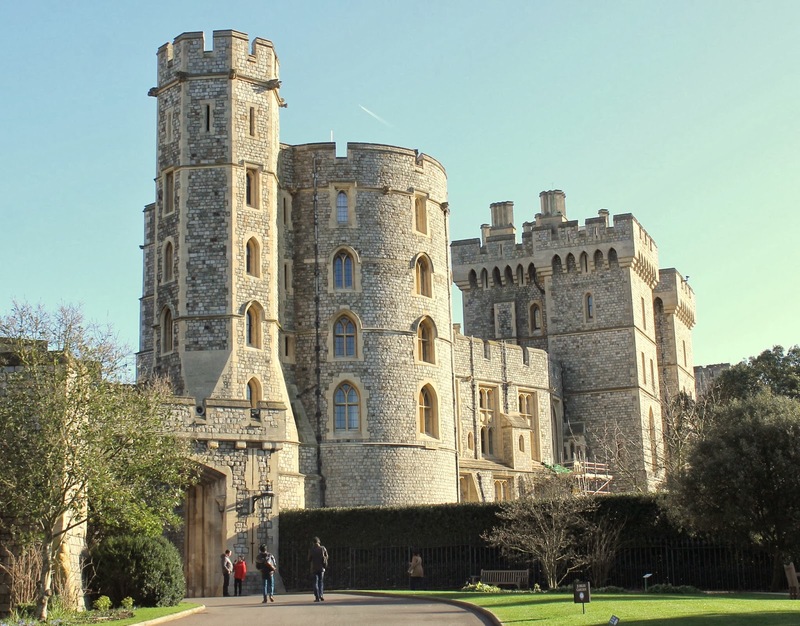 We had just come out of the State Apartments, the interior portion of Windsor Castle that you can tour. We noticed a group had gathered at a fence, but I assumed they were a tour group and I was already walking away. 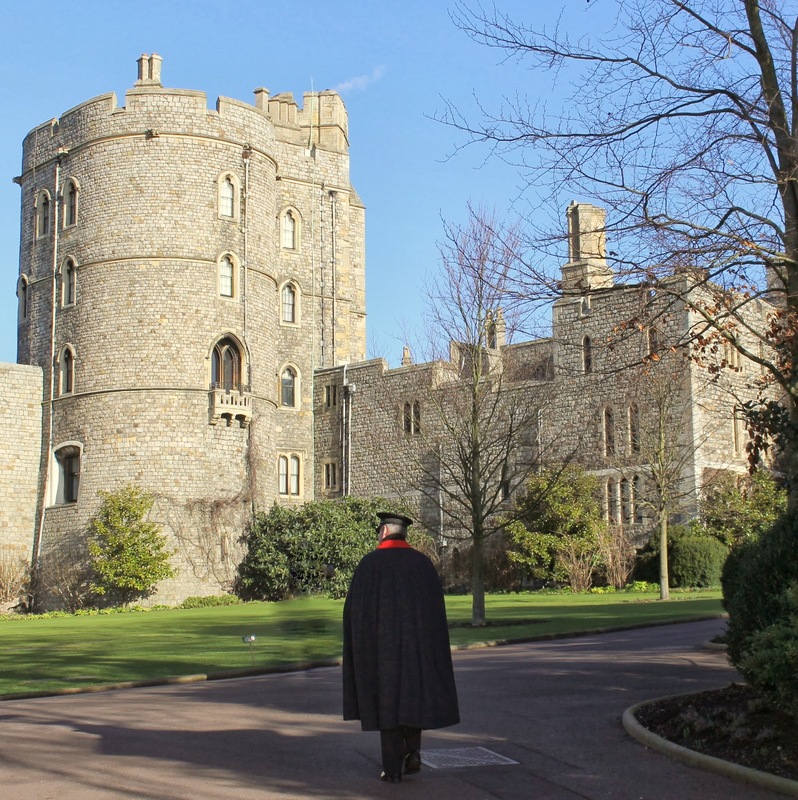 Fortunately, a kind security guard stopped us and said, "The Queen is about to head to church. That car over there is going to take her." Having once missed seeing the Pope for the same exact reason (I tend to walk away from crowds instead of wondering what they might be gathered to see... when will I learn? ), I will forever be grateful to that guard for cluing us in. 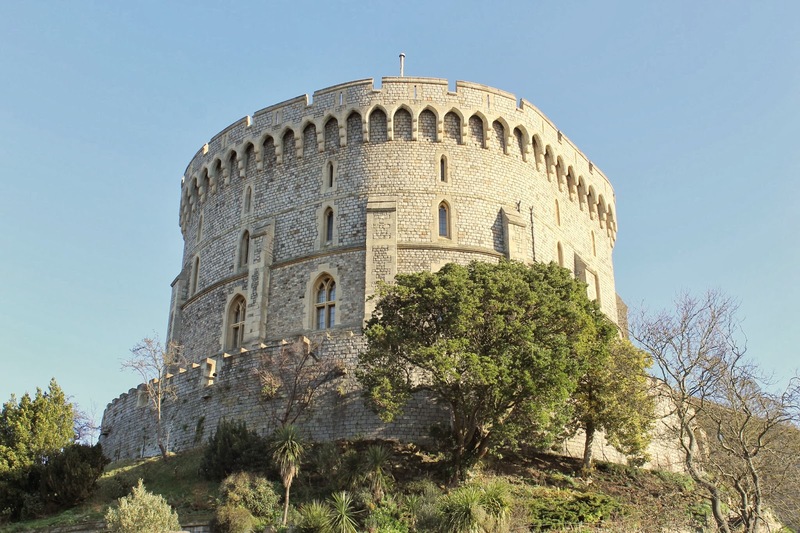 But even if you don't catch a glimpse of the Queen, Windsor Castle is well worth seeing. 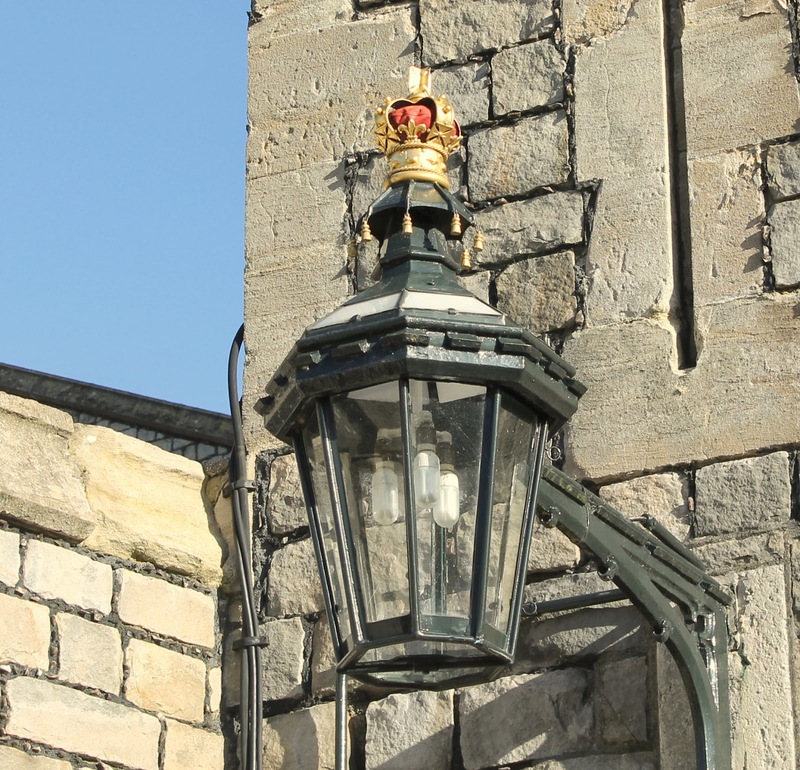 Even the streetlights have crowns in Windsor. 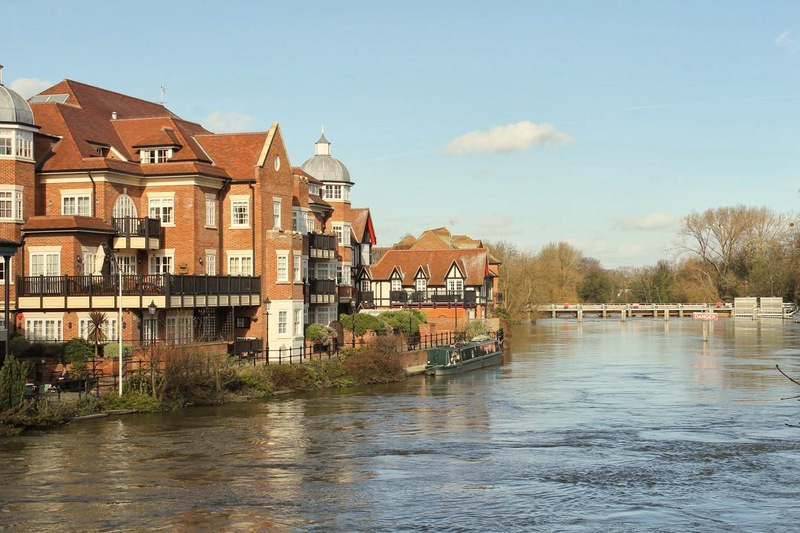 And if you have time, do be sure to cross the Thames and check out Eton, too. 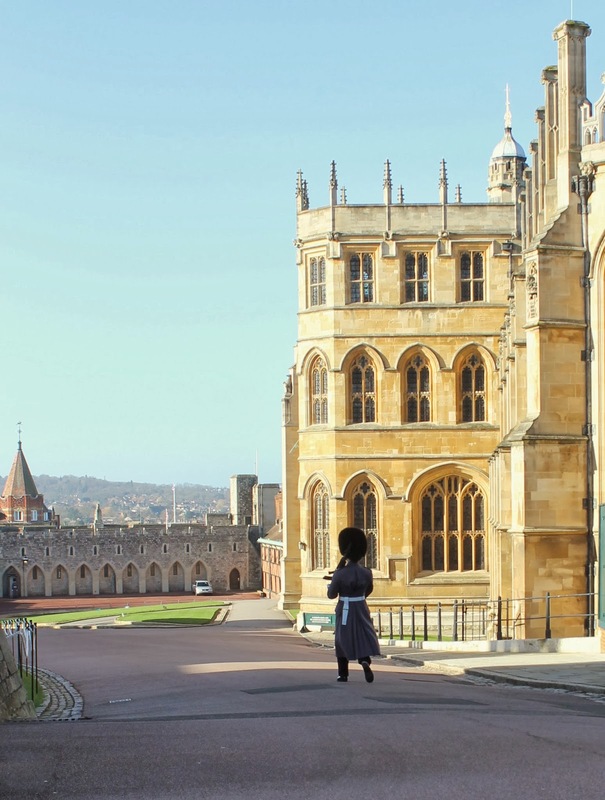 It's a nice juxtaposition to see such a prominent royal residence, and then to also visit the institution where some future royal and political leaders receive their education. Like if the White House were next door to Harvard, if that makes any sense. 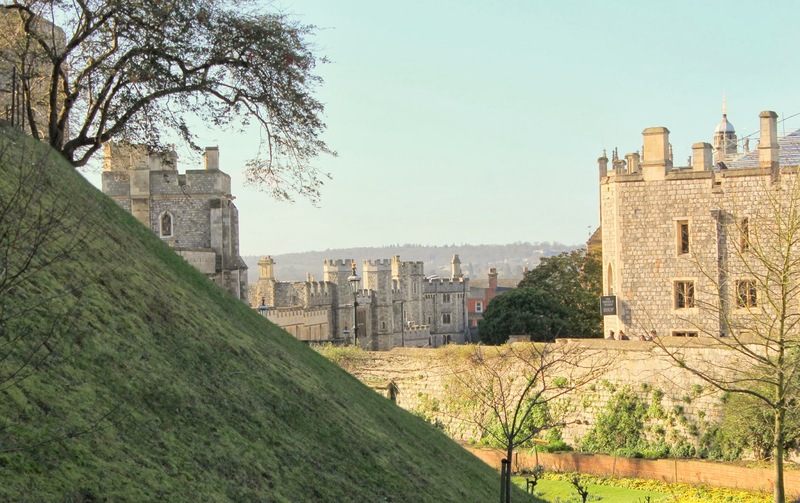 Want to know more about Windsor? 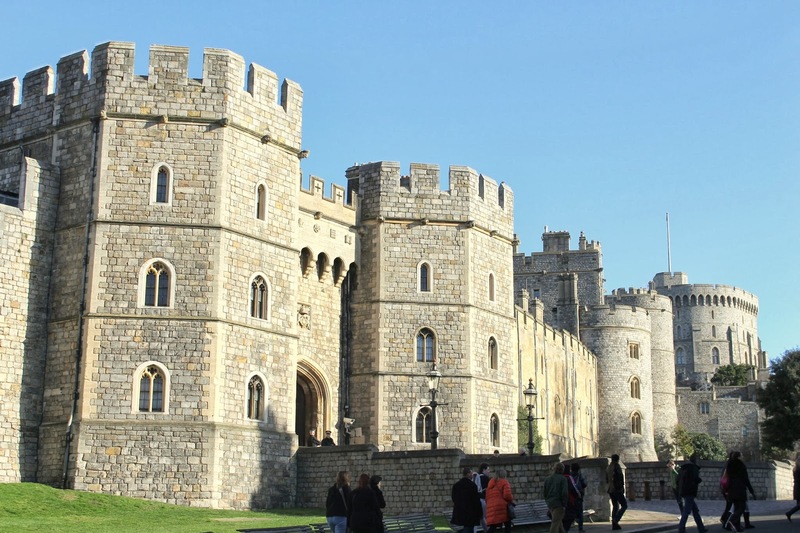 Mara at The Mother of All Trips has a great post about Windsor and Eton here. It was the only thing I read before our visit, yet I felt well prepared. My only other tip would be to make a booking at a restaurant for lunch. I was glad I had booked a table at Bella Italia, per Mara's recommendation, as we noticed a long wait at many of the places surrounding the castle. Wondering where my kids are in all these photos? 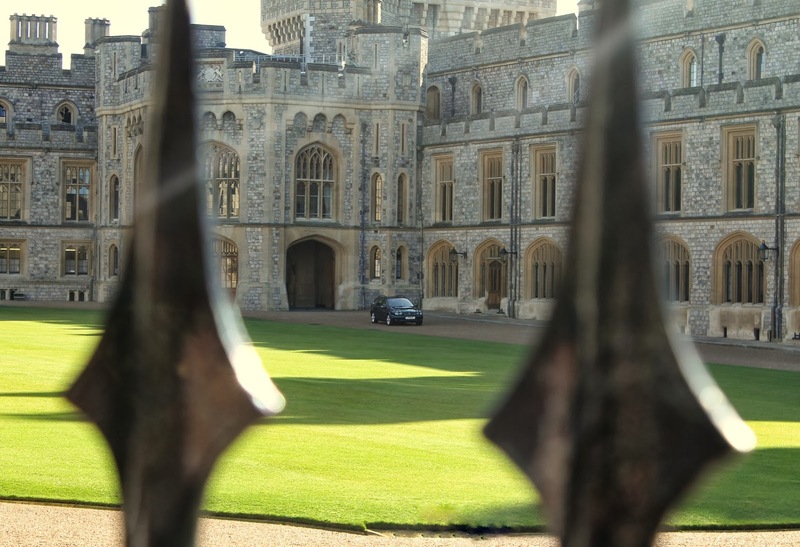 I've got a peak at how the Arrows enjoyed Windsor in my next post. This post is a part of Friday Postcards at Walking on Travels, where travelers are sharing some of their favorite stories and memories via photos each week.